We have many opportunities for you to volunteer at Park. You can read to your child in the library, go on field trips to help chaperone, support our safety efforts with the valet, help with translations, make copies, laminate, support teachers in the classroom, maintain our Green House, assembly set up, festivals, and many, many more ways to be an active member of our learning community. Before you can volunteer, the Alhambra Unified School District's policy is that all volunteers are cleared. 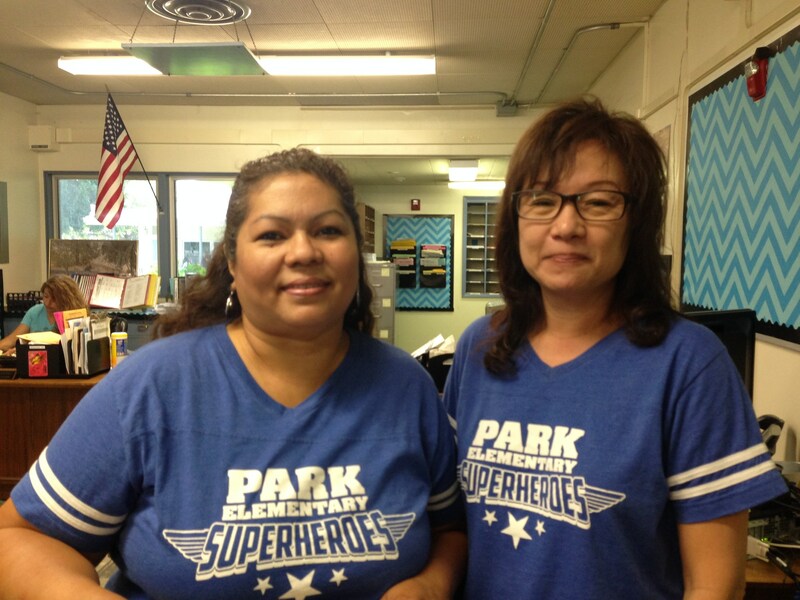 Therefore, please see one of our home school coordinators, Rose Sanchez or Lynn Siu. They can help you fill out the Volunteer Form, begin the fingerprinting process, go over school safety protocol and get you certified to become a Park School Volunteer. This clearance also needs to be completed to volunteer for all PTA sponsored events. We look forward to seeing you join our volunteer force that is over 100 parents strong and growing! Please note, processing your paperwork through the District can take up to 3 weeks. Please plan ahead and fill out your paperwork in advance.